There’s some debate in the United States about extending Medicaid to more people. Loosening criteria for means-tested public health care insurance such as Medicaid would allow more people to benefit from health care they may otherwise be unable to afford, but may also discourage savings if households no longer have to pay out-of-pocket for their own health care expenses when old. In some earlier work, Mariacristina De Nardi, Eric French, and John Bailey Jones (DFJ) found that households often spend down their wealth rather slowly in retirement to have enough precautionary savings for possible health expenditures late in life. Suppose one’s lifetime income is fixed. The less money one saves for those final years, the more one can spend during younger, healthy years. 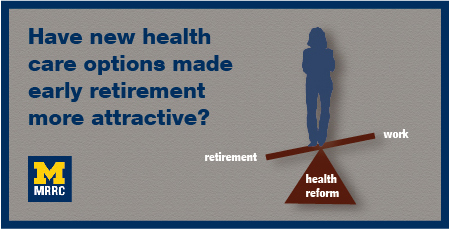 To what extent will expanding Medicaid affect these patterns? Since Americans aged 65+ have more than a third of the nation’s wealth, it will be interesting to see how this group responds. To answer this question in an ideal world, we would take half the U.S. population at random and make them eligible for a generous version of Medicaid, and give the other half access to a much more restrictive program. Then, we would observe how lifetime savings patterns differ between these two groups and draw conclusions about expanding Medicaid. Oregon actually ran an experiment in 2008 doing just this, and we have learned quite a bit about the short-run effects from this experiment. However, it is simply too recent for us to learn much about how it affects lifetime savings since the majority of the recipients are well and alive. See https://www.nber.org/oregon/ for findings from this experiment. Without waiting for these program participants to live out their lives, DFJ in “Couples’ and Singles’ Savings After Retirement” attempt to shed some light on this question with a fairly comprehensive model of how households accumulate and spend savings. 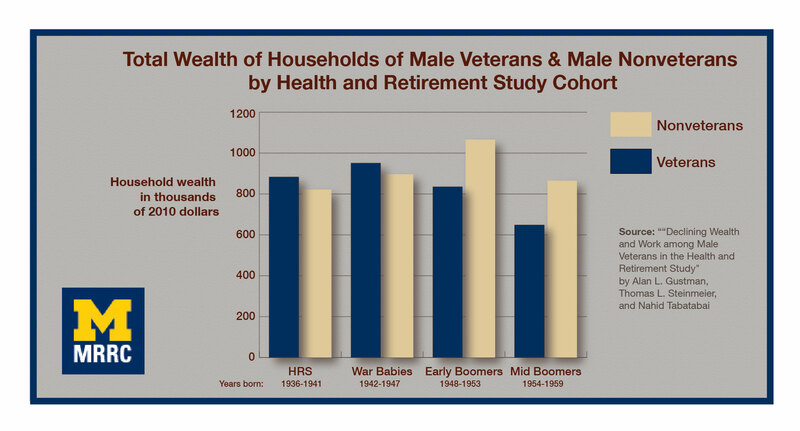 Data from the Health and Retirement Study (HRS) and Medicare Current Beneficiary Survey is used in this analysis. The authors create a model that makes savings decisions as though it is a household. Uncertainty regarding medical expenditures. Since households do not know exactly how much they will need to spend out-of-pocket on healthcare, they will have to save up “just in case.” How much they save depends on risk aversion and expectations about their health. DFJ also carefully model a means-tested public healthcare insurance program where households know that if they need more for healthcare than the amount of wealth that they have, less some particular exemption amount, the insurance will pay for the difference. They input the permanent (lifetime) income, initial family structure, and certain demographic variables of every household in the data. Then they teach the model to produce life-cycle profiles for assets as closely as possible to what we observe in the data—a process called calibration. In future work, DFJ will ask the model what happens when requirements on this publicly funded healthcare are different, that is, if the “exemption amount” were to be different. We are excited to hear what they find. It matters not just if households will save less with more generous Medicaid but why they do so. With a detailed model like DFJ’s, we may just be able to learn more about the mechanism behind these changes. We’ll look at the DFJ’s initial results in the next post.